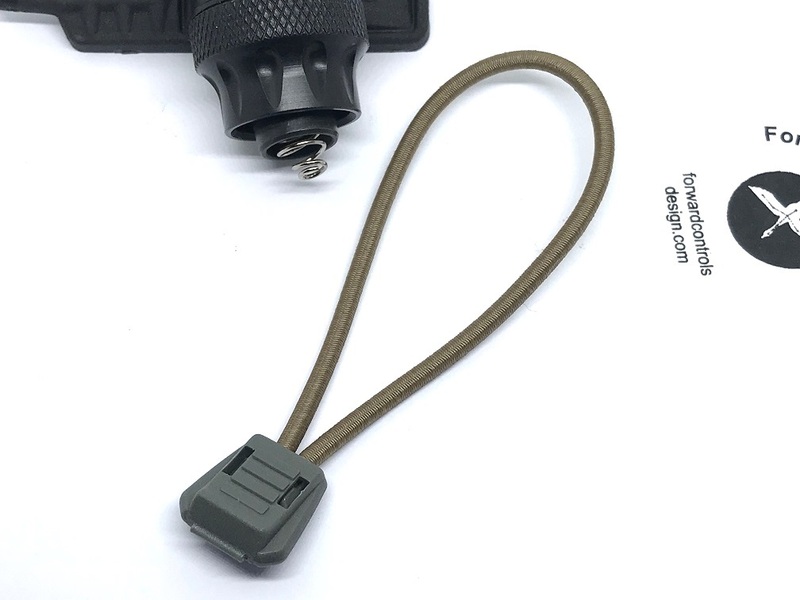 Tape switches for weapon mounted flashlights have made a comeback, and the cable that connects the tape switch to the mounted flashlight is unruly as we remember back when it was first popular in the early 2000s. 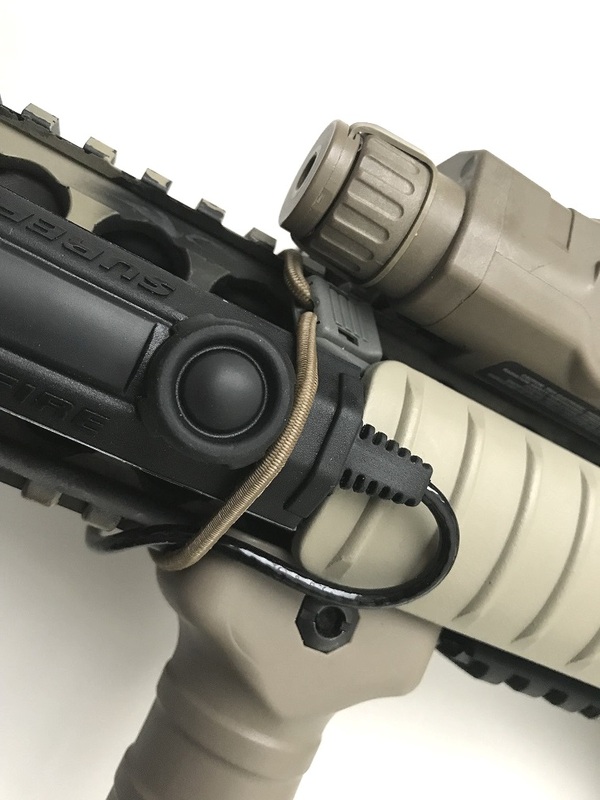 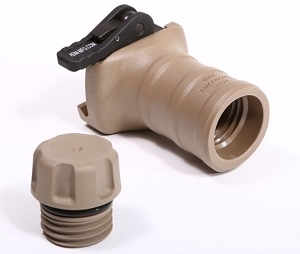 There are many options and positions to mount a tape switch equipped flashlight on your AR, all of which appear to leave a section of the cable hanging. 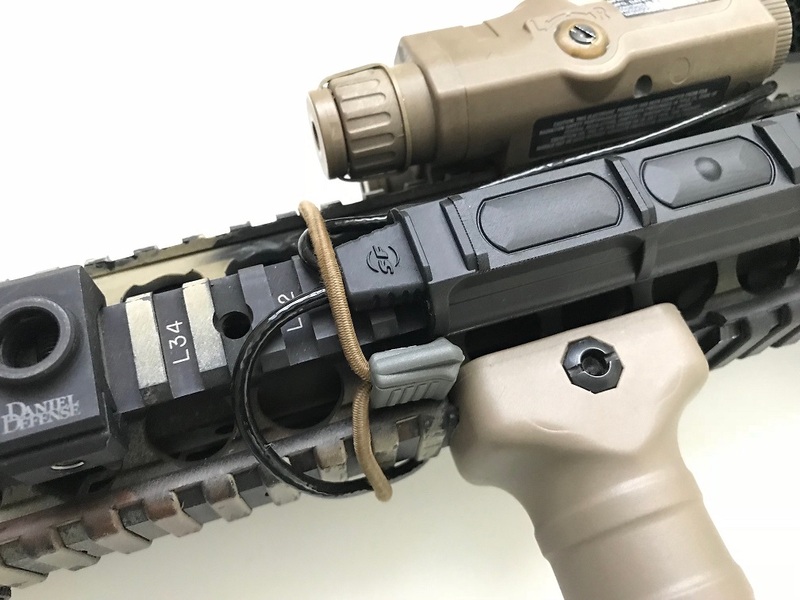 We recently got a Surefire M600DF (Dual Fuel) for research, and promptly rediscovered the annoying side of a tape switch, namely its dangling cable. 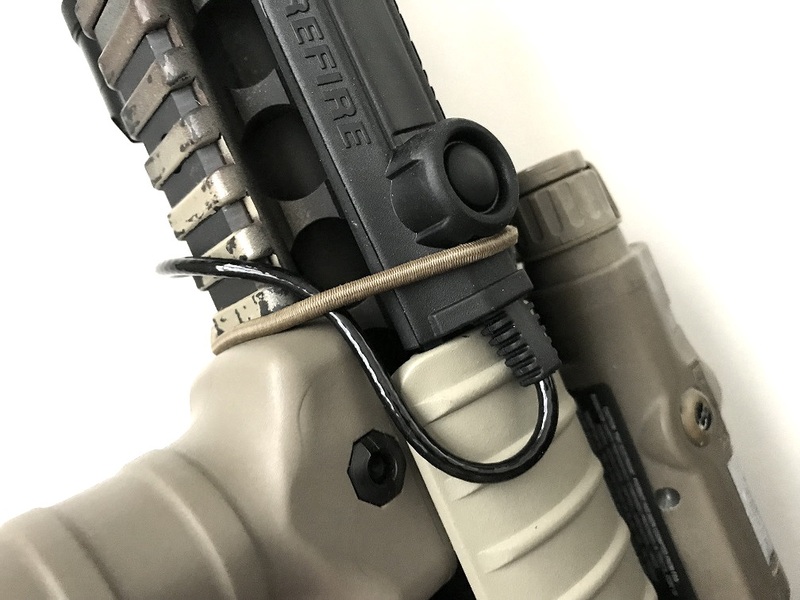 Since we have plenty of material for our Sling Keep A, we made a simple tie for the cable with 8 inch of 1/8 shock cord and an ITW Zipcord, we call it the Tape Switch Keeper (TSK). 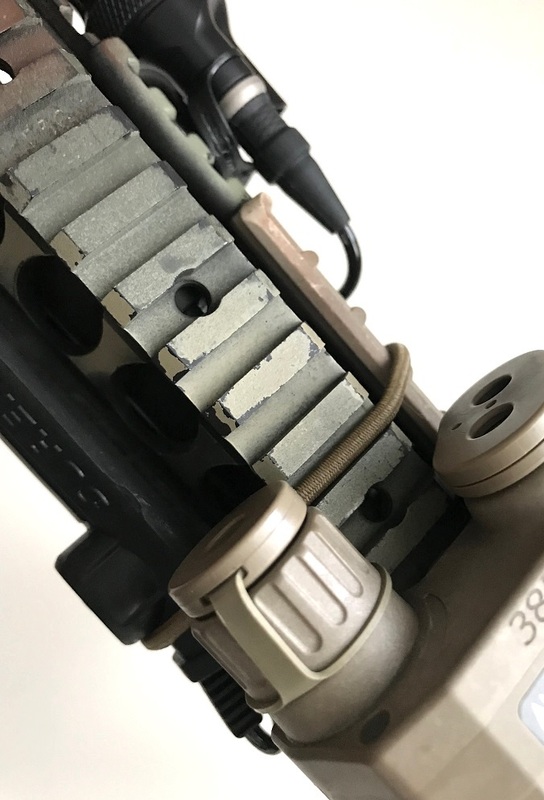 To be sure, a rubber band can do the job, and it's a free field expedient solution, albeit without longevity and durability. 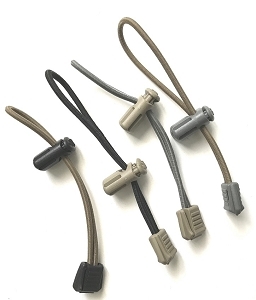 Tape Switch Keeper uses an 8 inch 1/8 shock cord that's far more resilient, and the ITW Zipcord allows it to be adjustable (simply make the shock cord shorter to obtain more tension). 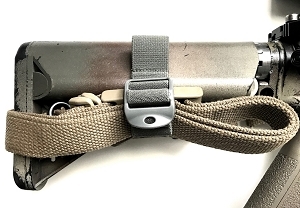 TSK's 1/8 shock cord fits between 1913 Picatinny rails, which prevent the TSK from unduly rolling on the hand guard. 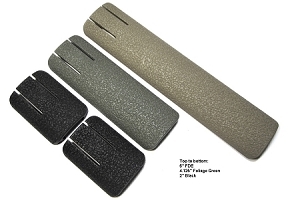 Priced at a reasonable $1.00, no free shipping is offered, the best way to acquire it is to add it to other items in your order.